I really like the way the yarn is changing color gradually. 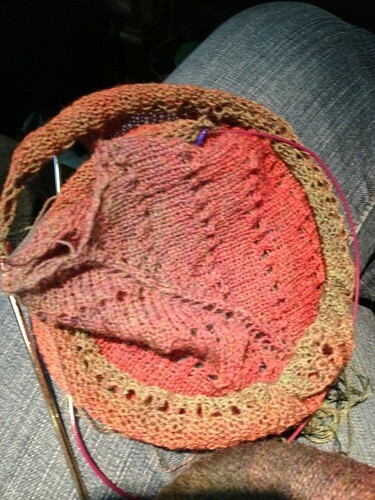 I think a shawl was the right choice for this yarn, since that will let the gradual color change show itself off. Some projects would not have the right dimensions for that kind of yarn. The pattern is easy enough for me to have looked at the chart early on, and then put into my purse for the remainder of the flight. 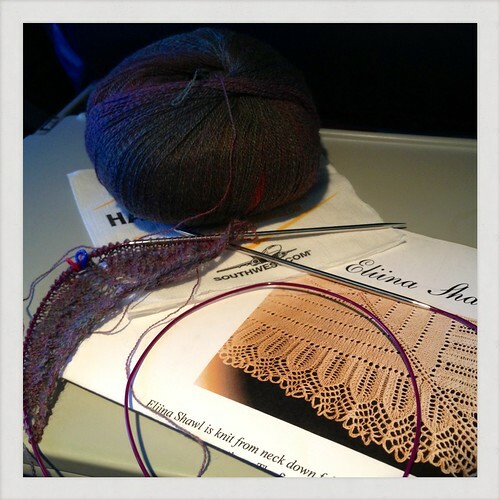 Something interesting enough to keep me from getting bored (the yarn color change, mostly, since this is basically a stockinette shawl) and yet simple enough that I wouldn’t get lost with the airplane disturbances. I think this will transition into great SnB knitting, or great TV knitting. Either one requires something closer to the realm of mindless knitting. Don’t get me wrong: I love the intricate stuff. 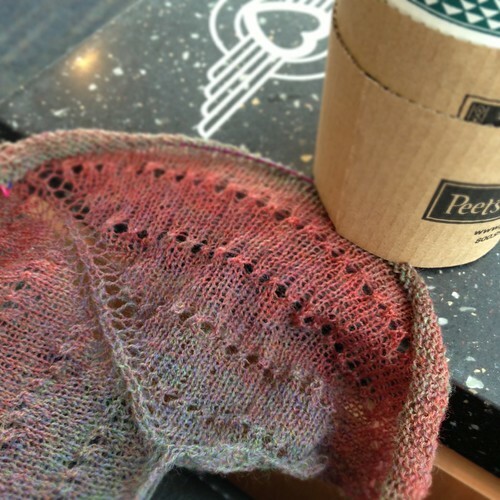 But there is a time and a place for a simple knit, and I love that, too. What a beautiful project! I can’t wait to see how it turns out. WOW but what did you think of the PArents? ?